The American Horticultural Society and Corona Tools are proud to have famed garden author Margaret Roach as a guest this week on #Plantchat. Stop! Before you read the appetizing seed catalogs dropping daily in your mailbox, join us at #plantchat on Monday, December 15 from 2-3 p.m. ET. Seed enthusiast Margaret Roach will share her seed shopping rules, teach you how to see through the sales pitches to what’s really going into those pretty seed packs, and help you find some unusual seeds to make your edible garden even more satisfying this year. The American Horticultural Society is honored to host Margaret Roach as a special guest on #plantchat this week. Margaret blogs at A Way to Garden, based on experiences in her Hudson Valley garden and her years as Garden Editor and Executive Vice President/Editorial Editor at Martha Stewart Omnimedia. 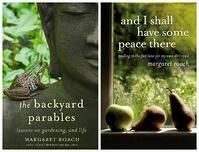 Margaret has written three books, and is offering two of them as prizes during #plantchat. Please bring your own ideas about what you look for in seed catalogs, and other unusual seed sources. Prizes this week are Margaret’s two books, and a membership in the American Horticultural Society – use these as gifts or keep them for yourself. Join @CoronaTools and #Plantchat co-partner, American Horticultural Society Digital Communications Manager Charlotte Germane @AHS_Gardening, along with guest host famed garden author Margaret Roach @MargaretRoach, This week's topic is Tips and Hints for Reading Those Seed Catalogs. The live chat begins Monday, December 15, 2014 at 11 a.m. PST / 2 p.m. EST, were we come together with green industry experts and fellow horticultural tweeps each week to discuss all things related to plants and horticulture, since 2014. Two Key Questions - before you even open a seed catalog. GMO Seeds - Why you don’t need to worry about buying GMO seeds. Organic Seeds - Three reasons to grow organic seeds. Kicking Back! - When to go wild with seed catalogs. The American Horticultural Society and Corona Tools are proud to have two garden greats as #Plantchat co-hosts this week: Citrus expert Kerry Beane, at Four Winds Growers, a leading producer of dwarf citrus trees; and famed garden author Margaret Roach. Most active tweeter gets to choose a 1-year old dwarf citrus tree from those in stock at Four Winds Growers and a ComfortGEL Fruit and Veggie Shear from Corona. Second and third most active tweeters each win a Corona ComfortGEL Fruit & Veggie Shear (for pruning and harvesting indoor citrus). Bring your knowledge of growing citrus in containers to #Plantchat and bring your questions too! Join @CoronaTools and #Plantchat co-partner, American Horticultural Society Digital Communications Manager Charlotte Germane @AHS_Gardening, along with guest hosts Citrus expert Kerry Beane @MyFourWinds, E-Commerce Director at Four Winds Growers, a leading producer of dwarf citrus trees; and famed garden author Margaret Roach @MargaretRoach, who recently wrote about indoor citrus at her popular blog, A Way to Garden. This week's topic is Growing Healthy Citrus Indoors. 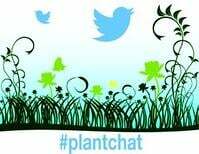 The live chat begins Monday, November 10, 2014 at 11 a.m. PST / 2 p.m. EST, were we come together with green industry experts and fellow horticultural tweeps each week to discuss all things related to plants and horticulture, since 2014. Selection - Which citrus do best as indoor container plants? Container-grown - Which is the most popular citrus to grow in a container? Indoors/Outdoors - What’s the best time of year to move the potted citrus outdoors? Yields - How long until your container citrus sets fruit? Organic Pest Control - What are easy and organic ways to control pests on indoor citrus?